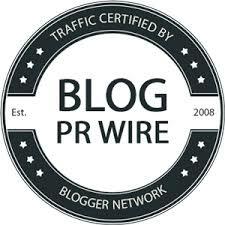 Attention bloggers: This is a free/paid blogger event hosted by Lil' Blog and More. 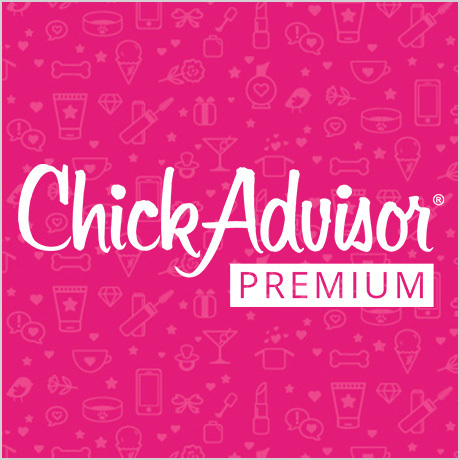 Link is free when you promote the giveaway on your blog and a thank-you for participating in the event. 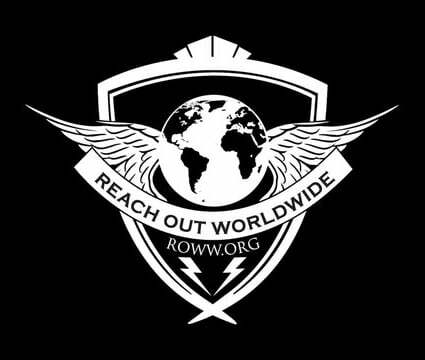 Sign-ups close Jan. 1, 2016. * Opton 1: Choose from Facebook Visits, Twitter, Instagram and/or Pinterest (with announcement post) or Option 2: only 1 free link (Facebook or Twitter) without announcement. * Co-host spot cost is $8.00. You receive 5 links (3 entries per entrant for each link) PLUS the additional 1 OR 2 links from option 1 or 2. 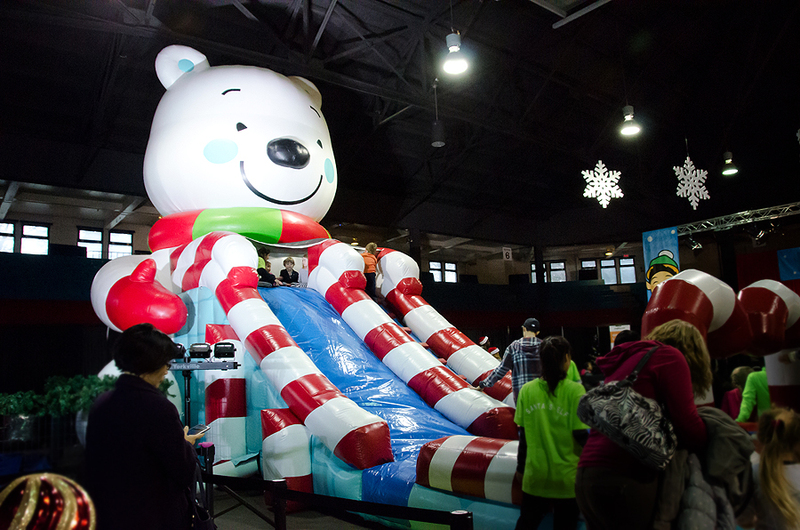 Vancouver Winter Wonderland is an indoor Christmas festival that was held at the PNE forum from December 11th - December 20th. Admission was $5 per person, but there was a limited time that individuals can purchase tickets for a discounted price of $5 for 2 through SocialShopper.com or Groupon. 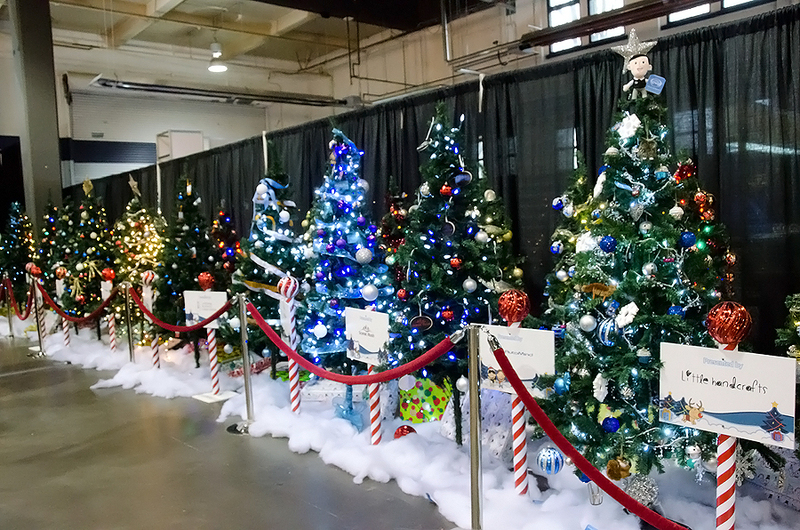 This Christmas event was the first year ever organized. 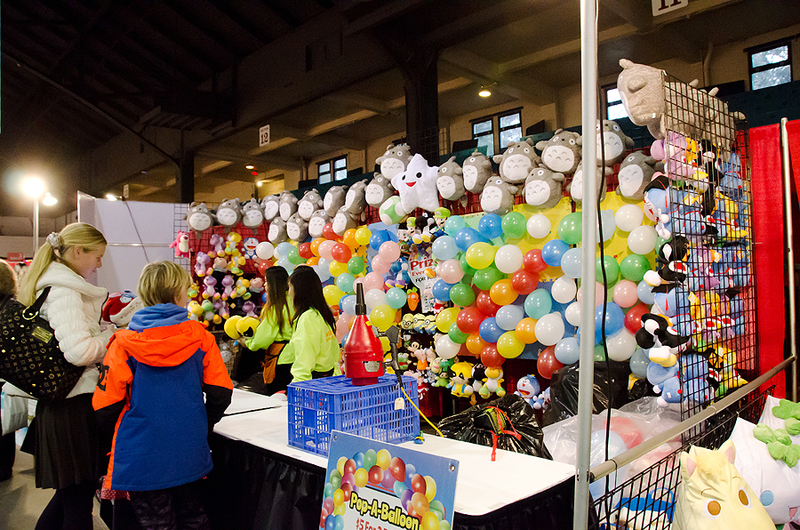 There were fun-filled activities, arts and crafts, attractions, performance stage, displays, vendor booths, photo opportunities with Santa, and Beanie the Bear in a walk-through snow globe. 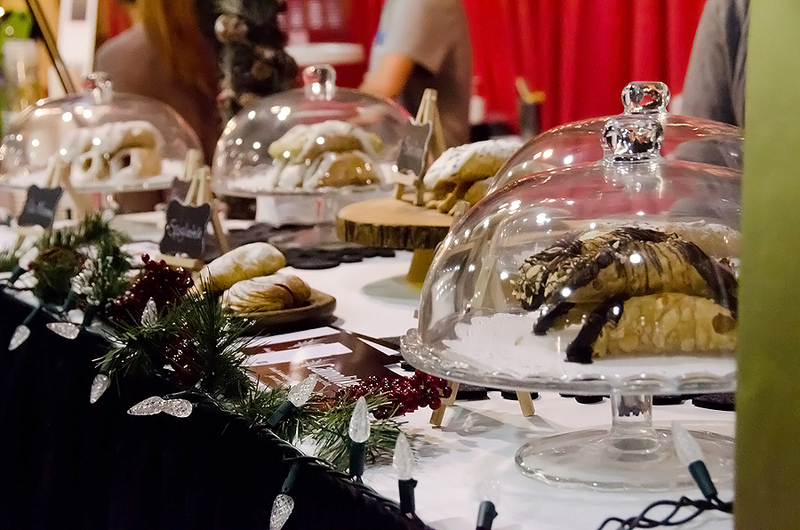 The displays were amazing. 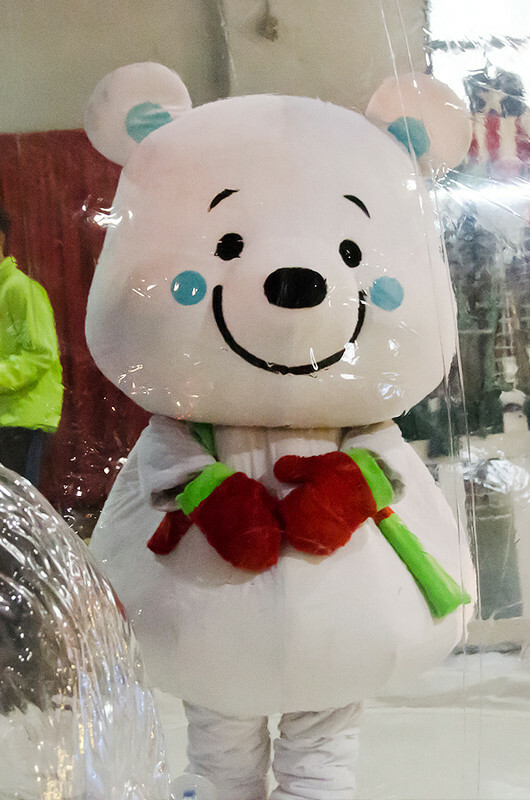 I saw some people had the adorable Beanie the Bear plushies, but I didn't see where we could purchase one. We got there just after 11am when the venue opened to the public. 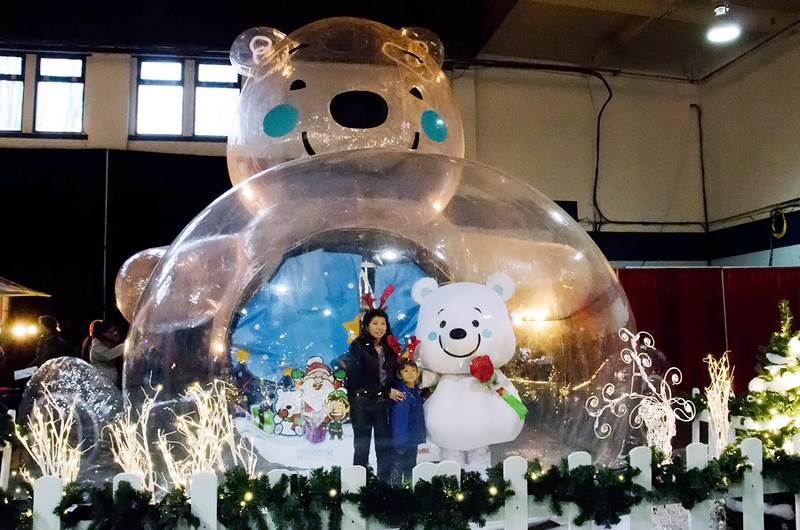 I saw the snow globe with Beanie the Bear in it and decide to go there first. The line up for the photo op took forever until it was our turn. I think we spent the longest time waiting there than walking around. Since we were already there, I didn't want to miss it. At first I was expecting the photographers with their professional cameras, but they were using iPads to take the photos. I also had a friend take our photos with my camera. I missed the photo op with Santa because we didn't want to wait as we had other scheduled plans to do after. I wanted to tell Santa to smile a bit more (*laughs*). Also, we were told at the entrance by the staff that the Disney Frozen performance was rescheduled for the next day instead, so I was sad to have missed it. 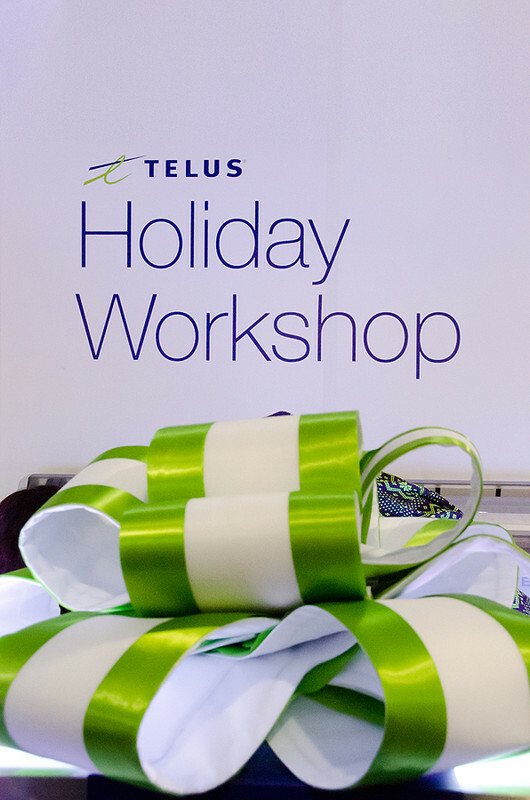 The highlights of our visit were the walk-in snow globe, meeting Beanie the Bear, and the personalized wrapping paper courtesy of Telus. Overall, it was an ok event for me. 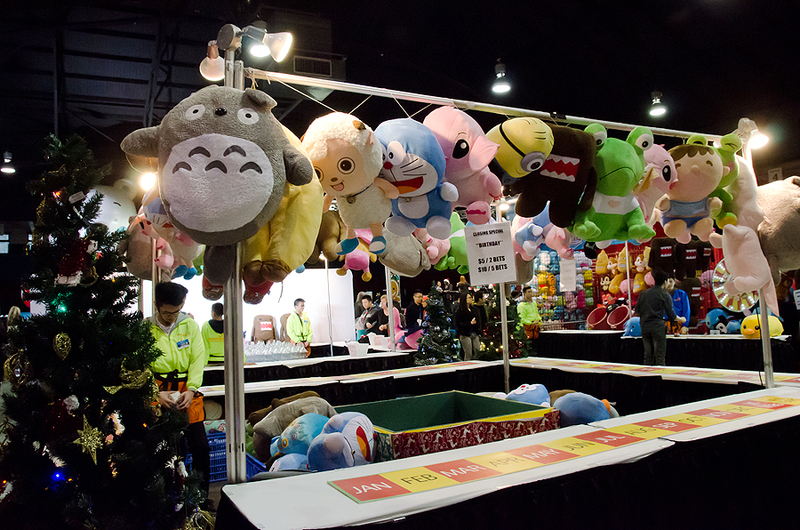 I wish there were some swag for attendees, more Christmas products from vendors, and I'd like to see more activities if the organizers plan to have this event again next year. I can't blame them, Who doesn't love Halos? I have to buy these the minute I see them in the store because they disappear around our house! I can never say no because they are so good and so good for us that we have these as much as possible. Pick some up and you will see how quickly they disappear in your home! Find out where to buy Halos here! 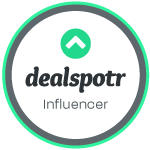 HUGE THANKS TO ALL THE AWESOME PROMOTING BLOGGERS! THANK YOU SO MUCH FOR INVITING YOUR FOLLOWERS TO ENTER! 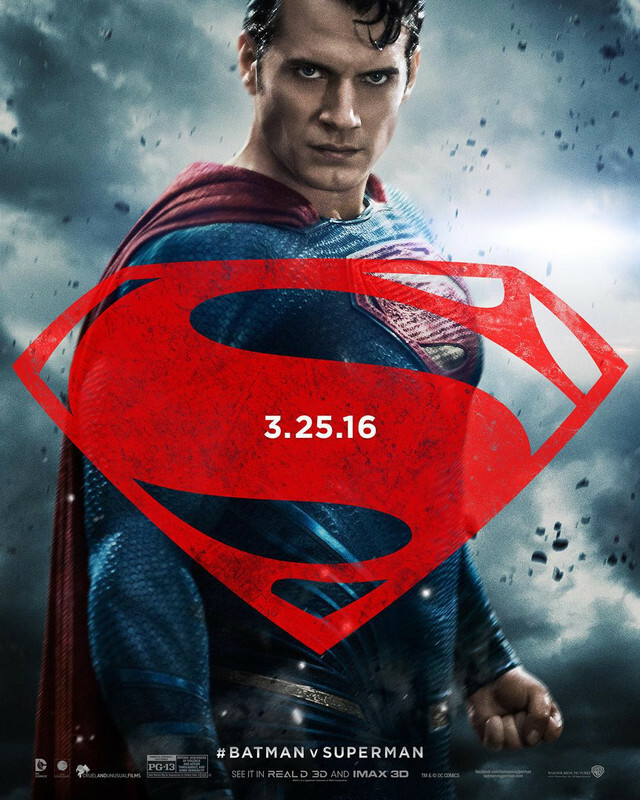 Contest is open to US Residents 18+ (ends January 15, 2016 at 11:59pm EST). All entries unless otherwise noted are optional. Please enter the giveaway form below. Winners will have 48 hours to respond or a new winner will be chosen. Good luck! 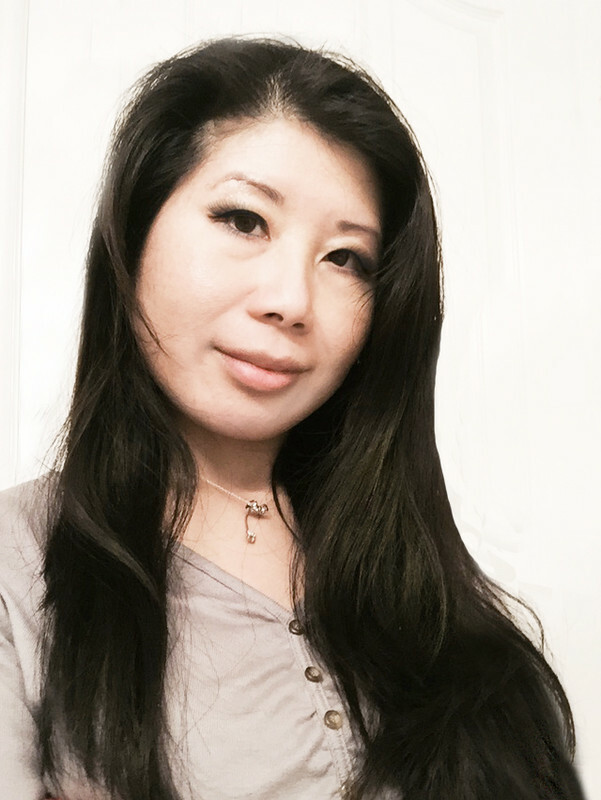 I've been loving Lisap haircare products since my previous review of Lisap Ultimate Collection to tame my frizzy hair. This 4-step hair reconstruction system is another great product that would make a perfect gift set this holiday for those wanting beautiful and healthy looking hair. 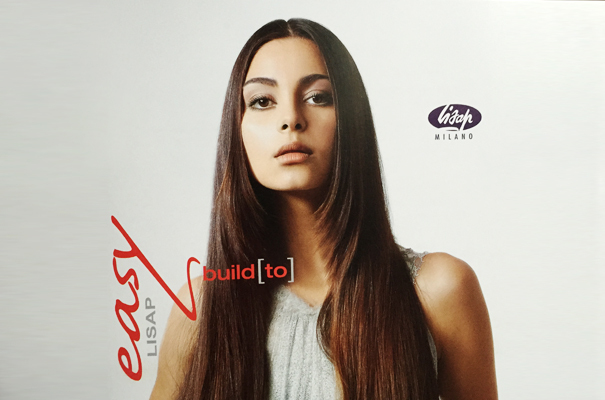 Lisap Easy Build is a 4-step hair reconstruction system for any hair type. It’s a state-of-the-art deep conditioning treatment created for seriously out-of-condition and damaged hair. It nourishes the hair structure from cortex to cuticle, restores body, elasticity and strength and provides an anti-aging effect to give hair superb softness and shine. STEP 1: Start the reconstruction process with Lisap Easy Build 1 Chelating Shampoo. Chelatizing literally means binding or capturing mineral deposits and eliminating them from the hair. 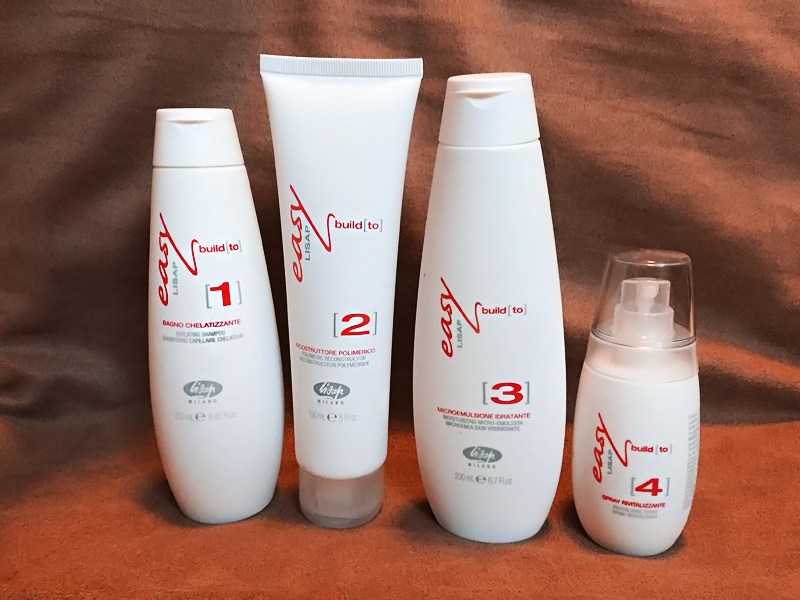 Easy Build 1 is formulated to create synergy between the active ingredients, amino acids, keratin and vitamins to treat the most damaged parts of the hair, leaving it glossy and perfectly manageable. STEP 2: Lisap Easy Build 2 Polymeric Reconstructor helps rebuild keratin structures internally from deep within the hair shaft. Its formula contains creatine, wheat amino acids and soya proteins that leave the hair looking healthier, glossier and stronger. The quality and resilience of the hair structure is improved from the first application. STEP 3: Lisap Easy Build 3 Moisturizing Microemulsion, a moisturizing liquid cream ensures that its active ingredients immediately penetrate the hair structure. The red and black marine algae extract formula reinforce and reconstruct the hair fibre internally and externally. This third step restores vitality and elasticity, giving hair increased body without adding weight. STEP 4: Finally, Lisap Easy Build 4 Revitalizing Spray completes the reconstructive treatment by effectively rebuilding the external layers of the hair, preventing split ends and leaving hair feeling like silk. Additionally, the hydrolyzed proteins, creatine and heat resistant substances moisturize the hair, protecting it from heat and making handling easier and styling longer lasting. WHERE TO BUY: The Easy Build Collection retails for approximately $67 and is available at fine salons in North and West Vancouver area, Saskatoon, Toronto, Ottawa, Gatineau, Nepean, Montreal, Quebec City, Sherbrooke, Trois Rivières, Granby, Grand-Mère and New Brunswick. 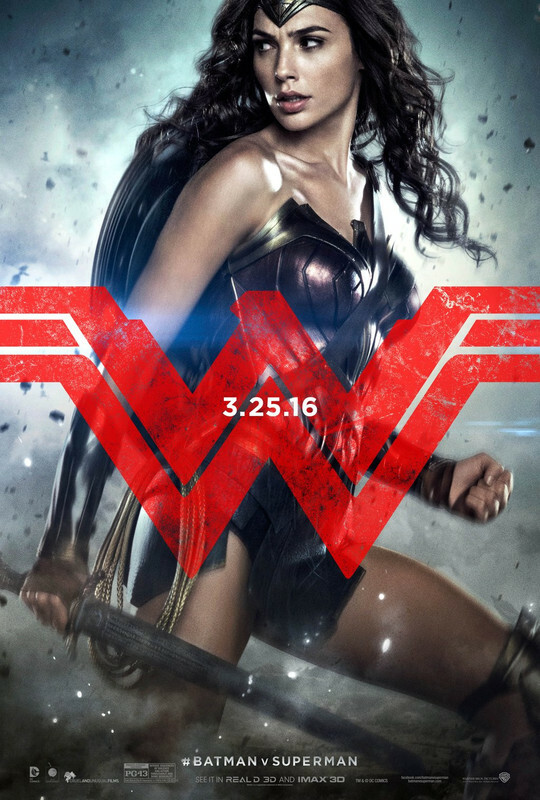 Warner Bros. Pictures has released three character posters for the film, one for each of the characters. 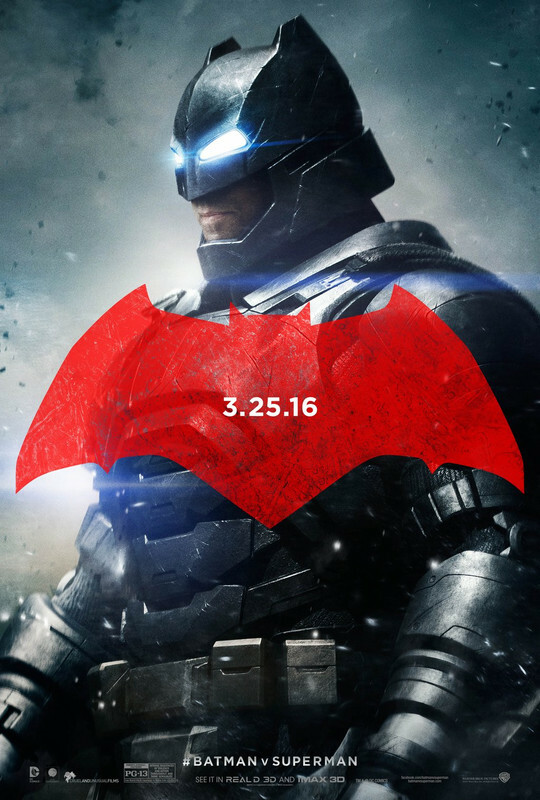 Watch the new trailer for ‪Batman v. Superman‬: Dawn of Justice now. 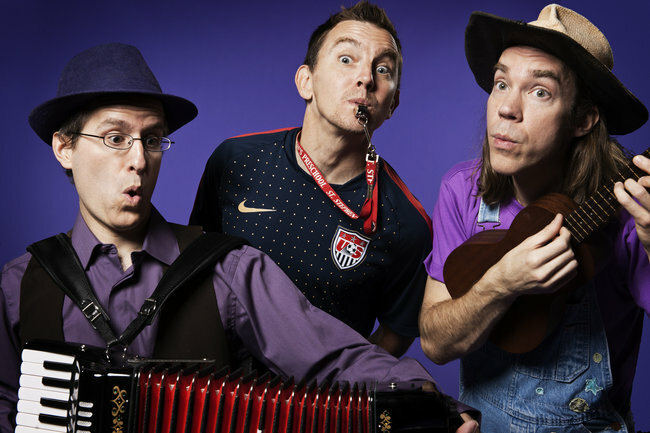 Washington, DC's award-winning power trio for kids and families, Rocknoceros, continues its 10th anniversary celebration in high spiritis of an exuberant holiday album, Happy Holidays from Rocknoceros (released November 24, 2015). 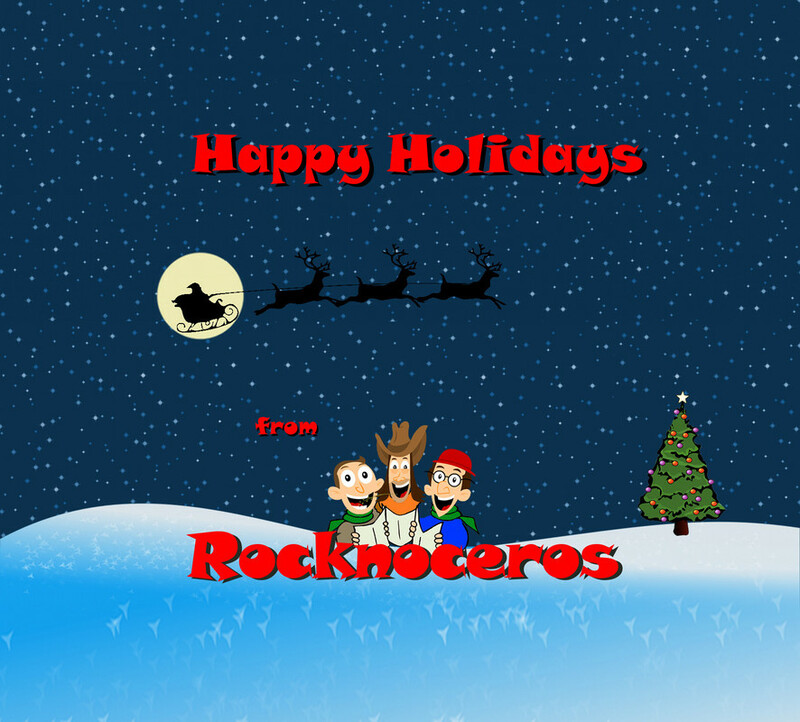 Happy Holidays from Rocknoceros is a musical "Norman Rockwell" that captures the essence of the procession of holidays that punctuate each year with a festive exclamation point. Kids nowadays are often too connected to their electronics to feel a connection with the change of seasons and the flow of life on earth. It's hard to notice that the moon is spinning around our world when one is consumed with text message and social media. So, with Happy Holidays from Rocknoceros, Rocknoceros has created a little drama out of the last act of the year, structured by holiday observations beginning with Halloween and continuing with Thanksgiving, Chanukah, Christmas, and New Year's Eve. "This Thanksgiving" is a big, bold, exuberant ode to Thanksgiving, all done up in three-quarter waltz time. "The Dreidel Song" dresses up the ubiquitous Chanukah number in a Caribbean rhythm and imbues it with an energy that never lets up. On "Oh Christmas Brie" Rocknoceros engages in a bit of "cheesy" conversation to the background of a piano bar style "It Came Upon a Midnight Clear." 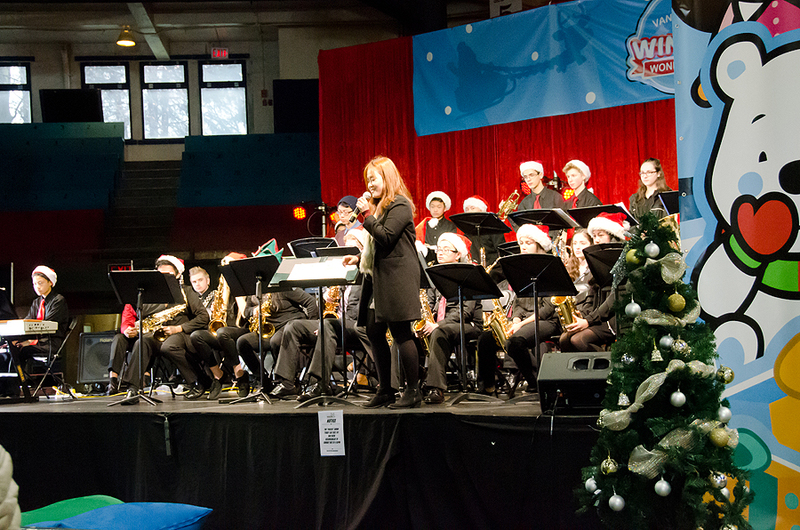 In the spirit of "Winter Wonderland" and "Baby, It's Cold Outside," "Snow Day" celebrates the weather while celebrating the season. Updated lyrics grace the beloved carol melody "Wenceslas" and, like the original, narrate a tale of generosity that embraces the joy of giving at Christmas time. A one-of-a-kind Rocknoceros version of "Up On The Rooftop" evolved from the band's holiday shows, while the treasured Christmas poem, "A Visit from St. Nicholas," is given a special Rocknoceros treatment that could only be described as "the works" on "The Night Before Christmas." For a grand finale, the Scottish ballad "Auld Lang Syne" is combined with "Enjoy Yourself (It's Later Than You Think)," with the guitar providing a funky fade-out that escorts a soundtrack of New Year's frivolity. 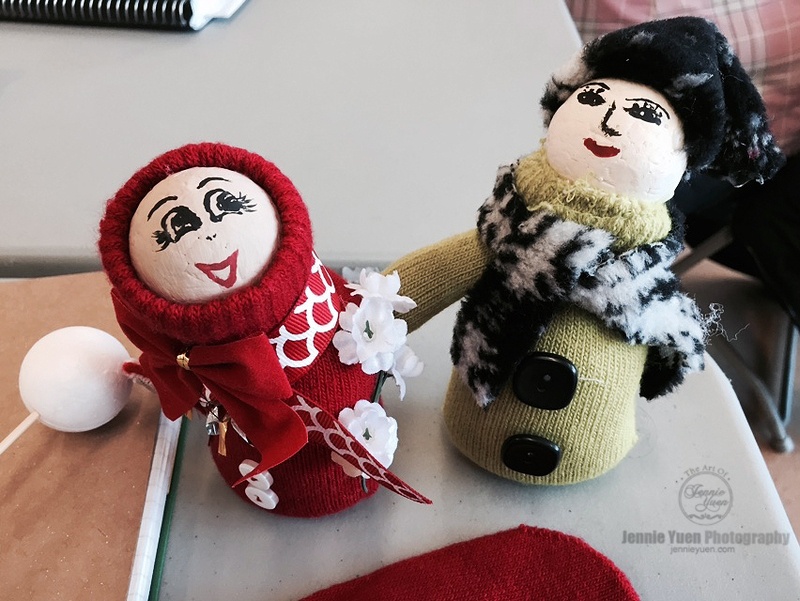 Here is a fun holiday craft that you and your family can make this year. Kids will love them too. 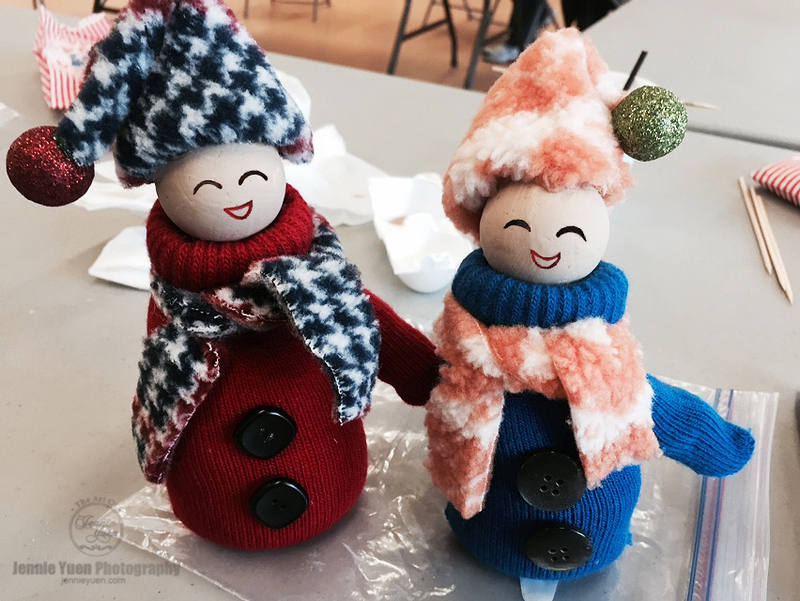 I've made little snowman dolls using mittens. 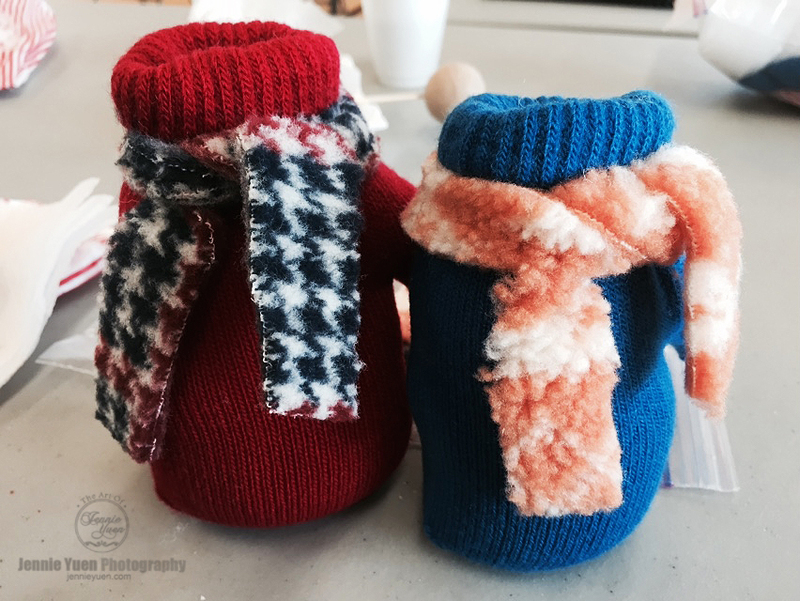 You can use old mittens and make something new out of it or find them from the dollar stores. 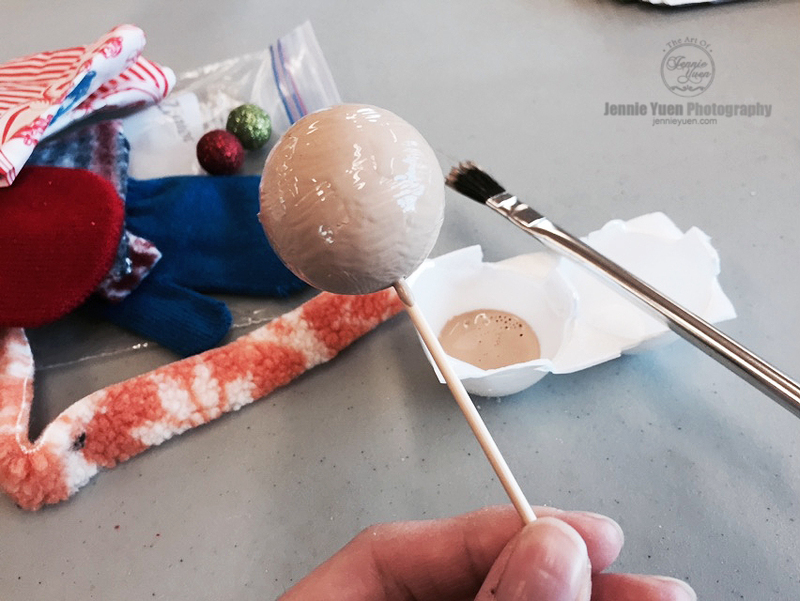 STEP 1: Stick the skewer into the styrofoam ball. 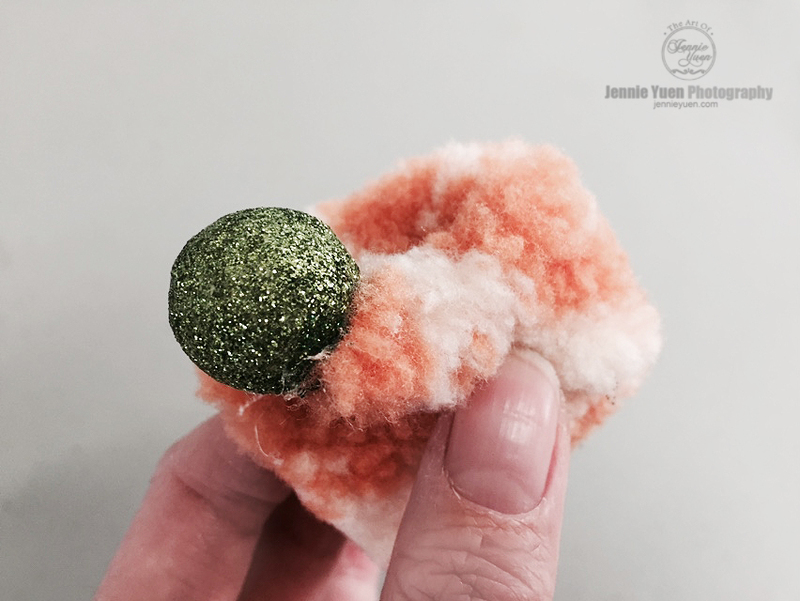 Paint the styrofoam ball with the choice of your color. For mine's, I used a light beige color. We do this part first so we can give the paint some time to dry. 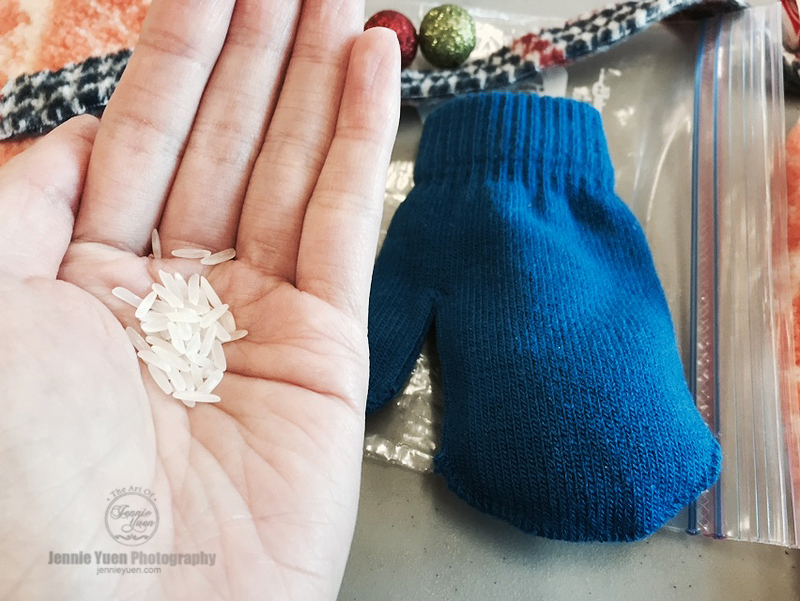 STEP 2: Fill the mitt with rice about 1/2" high from the bottom. 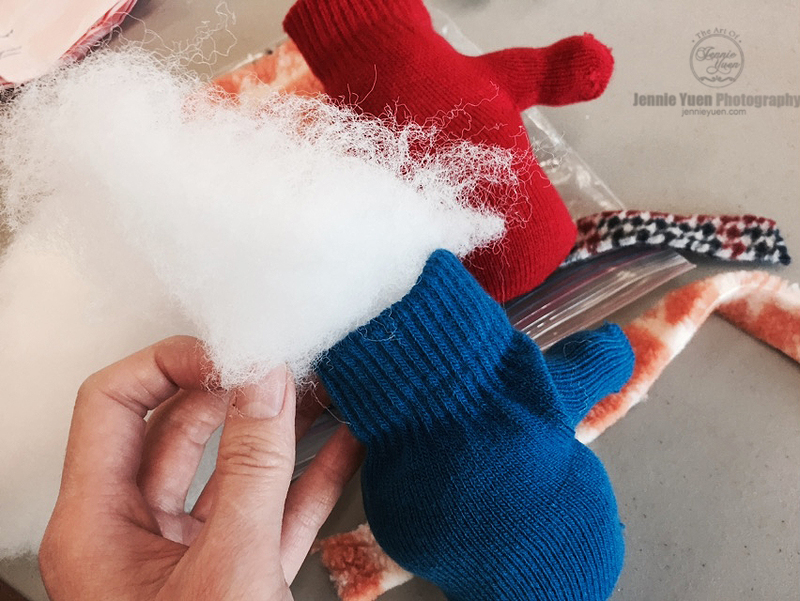 STEP 3: Fill the mitt with cotton all the way to the top. 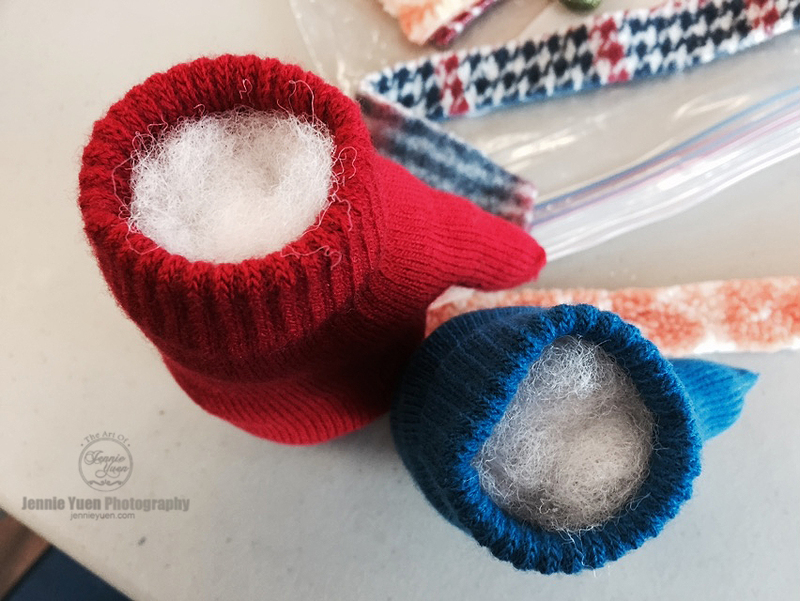 Don't forget to fill in the thumb part with cotton as well. 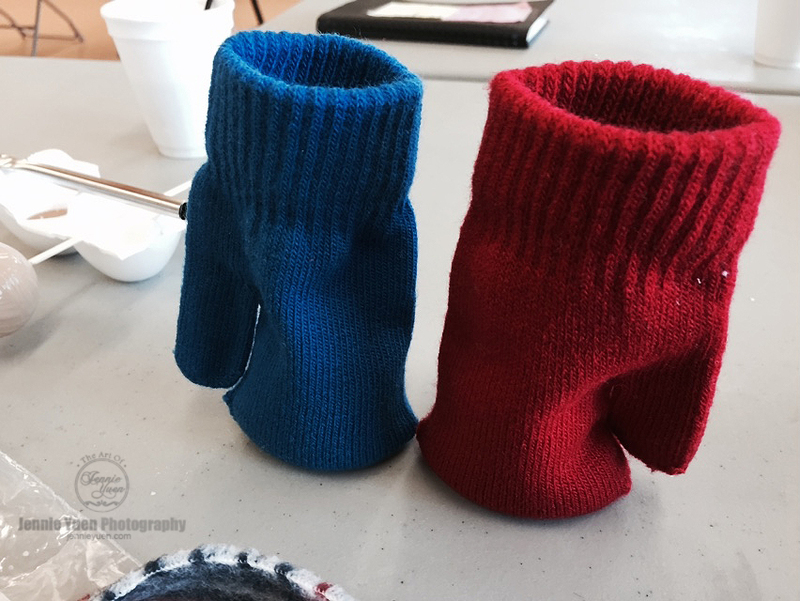 Wrap the elastic around the top and fold down the mitt's opening to form a turtle neck. STEP 4: Cut a strip of fabric to make a scarf. Also cut a square piece of fabric to make the hat. 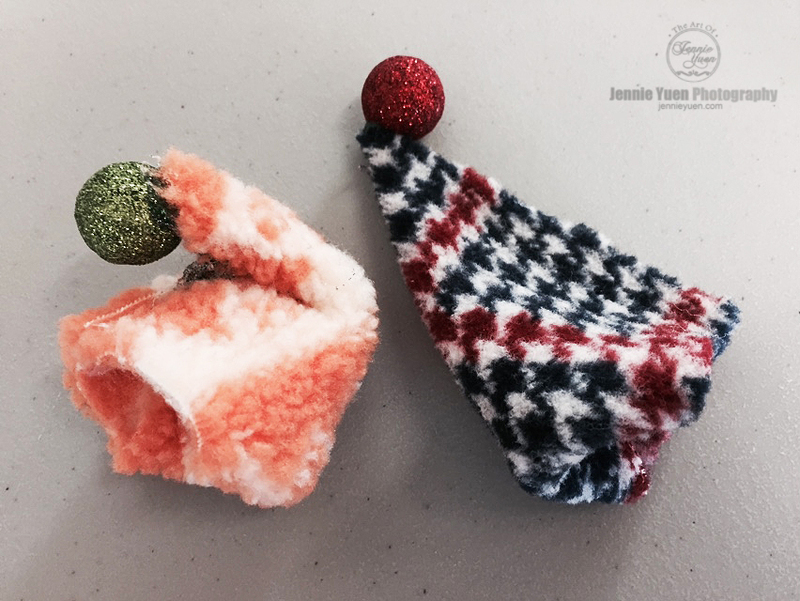 Fold the hat in a triangular shape and tuck the corners in to place over the ball (head). 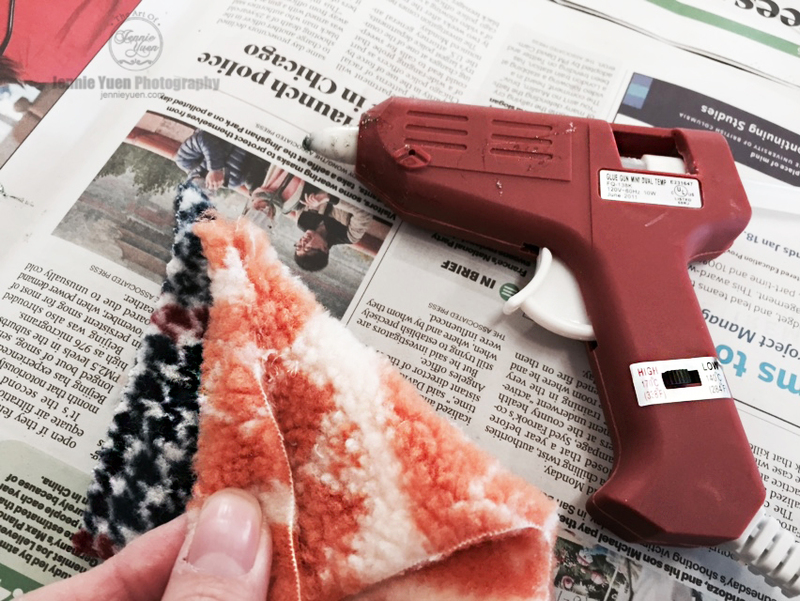 Use the hot glue gun to glue the edges of the fabric. I used a smaller styrofoam ball with sparkles to place on the tip of the hat and let it flop down. Glue it down to make it stay. STEP 5: Once the paint on the styrofoam ball is dried, put glue around the neck area of the mitt and stick on the head. STEP 6: Then put glue around the bottom of the hat and stick it over the head. Use markers to draw the face. 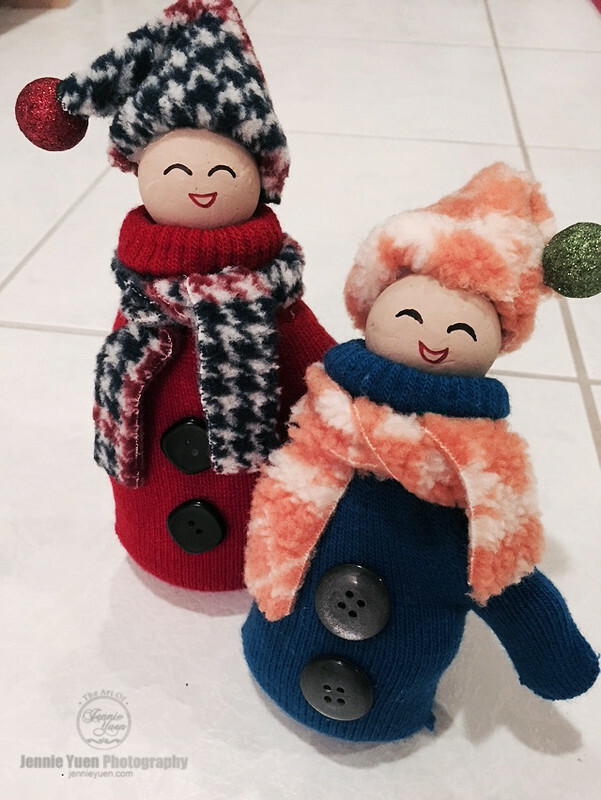 Glue the buttons on their clothes and feel free to add any other decorations you like. These make cute decorations over the fireplace, around the Christmas tree, or anywhere around the house. 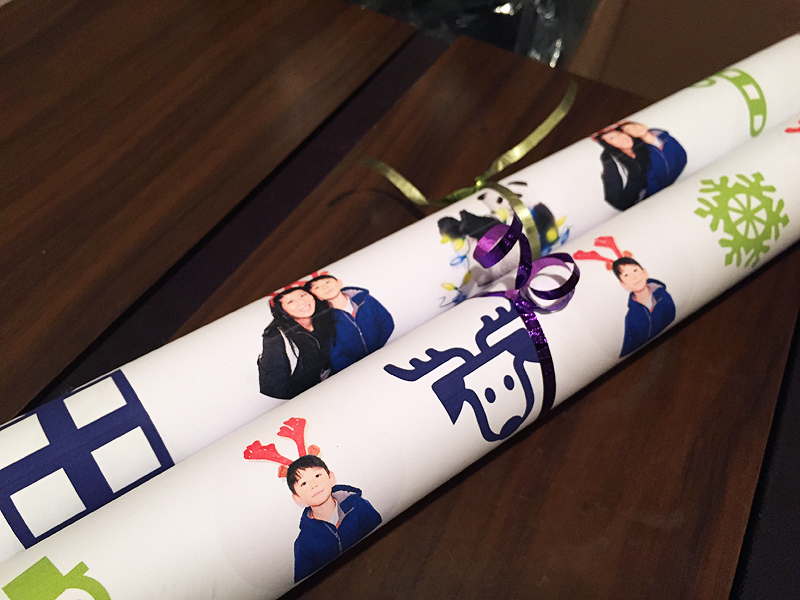 These also make great gifts for family and friends.